Recently, a research paper was written about in the media before it was published. The coverage spread around the world with some misinterpreting the article's findings as a doomsday prediction of the collapse of society. 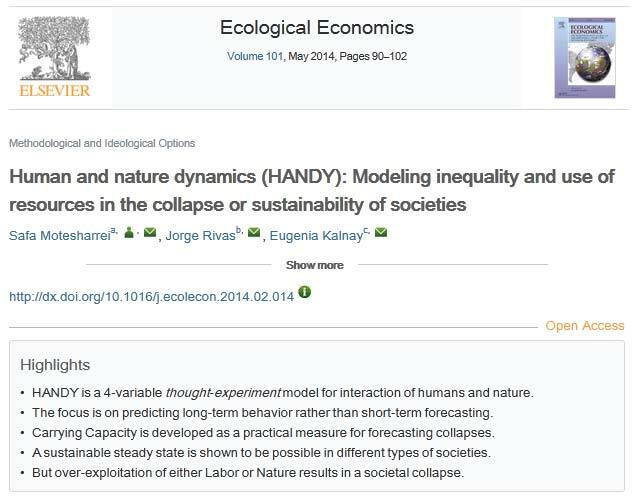 The paper – "Human and nature dynamics (HANDY): Modeling inequality and use of resources in the collapse or sustainability of societies" – was published this month in the journal Ecological Economics. The authors – Safa Motesharrei, Jorge Rivas and Dr. Eugenia Kalnay – have described their study as "a thought experiment," explaining that it is not intended to make specific predictions about a particular current society. They build upon an existing model: the predator-prey model. A similar approach was taken in the 1998 article by Drs. James A. Brander and M. Scott Taylor for The American Economics Review, "The Simple Economics of Easter Island," which attempts to solve for the equilibrium of renewable resources and population, indicating that once off balance, a society may collapse. However, for this new paper, the authors introduce inequality and accumulated wealth into the equations to signal how unequal wealth distribution could lead to different outcomes, running the model to reflect different situations. Q: Can you summarize the main findings of your research? In this paper, we show that two factors can independently lead to collapse: Ecological Strain and Economic Stratification. We also show that there are two routes to such collapses, which we call Type-L and Type-N collapses. Type-N starts with exhaustion of Nature but Type-L results from the disappearance of Labor because Elite consumption does not leave sufficient resources to meet the needs of Commoners. These two distinct routes to a collapse show over-exploitation of Labor, not just of Nature, can cause a societal collapse. Safa Motesharrei is a Research Assistant at the National Socio-Environmental Synthesis Center and a PhD candidate in Applied Mathematics/Public Policy at the University of Maryland (UMD), College Park. He has bachelor's degrees in electrical engineering and physics and master's degrees in physics and mathematics from UMD. 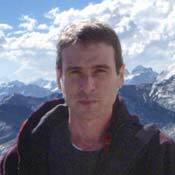 The focus of his work is on integration of the Human System and Population into the Earth System Models. Dr. Eugenia Kalnay is Distinguished University Professor in the Department of Atmospheric & Oceanic Science at the University of Maryland. Prior to her coming to UMD, she was Branch Head at NASA Goddard, and later the Director of the Environmental Modeling Center of the National Centers for Environmental Prediction of the National Weather Service from 1987 to 1997. During those 10 years, there were major improvements in the National Weather Service's models' forecast skill. Current research interests are in data assimilation, numerical weather prediction, data assimilation, predictability and ensemble forecasting, coupled ocean-atmosphere modeling and climate change. 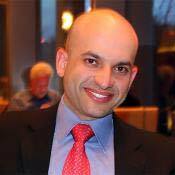 Currently at the Institute of Global Environment and Society (IGES), Jorge Rivas got his BA in Political Science at McGill University in Montreal and is working on his PhD at the University of Minnesota, Minneapolis. The focus of his work is on the application of philosophy of science to the social sciences, and his specific interests are the use of the scientific realist philosophy of science to make social and economic theories more scientific. His research fields are environmental sustainability, political economy and international relations. We also show that a sustainable steady state, with the population equal to the Carrying Capacity, is reachable in different types of societies. This requires making rational choices for population, depletion, consumption, and stratification. Very importantly, the experiments show that if population does not overshoot carrying capacity by too much, it would still be possible to eventually converge to it. However, if the overshoot is too large, a full collapse would be hard to avoid. The HANDY model shows us that Carrying Capacity (the long-term sustainable level of population at a given level of consumption) is the level of population at the time Accumulated Wealth starts to decline, which makes it easy to estimate it in the model. This is because, if the population at a given level of consumption is below the Carrying Capacity, the total consumption is lower than the level of depletion that Nature can maintain, and therefore Wealth can continue accumulating. However, if the population (at a given level of consumption) is above the Carrying Capacity, the total consumption is not covered by the level of depletion that Nature can maintain, and the Accumulated Wealth decreases. Since we live in an era where we are primarily relying on non-renewable resources, which are by definition unsustainable, the population and its consumption can grow beyond the Carrying Capacity level while still being able to accumulate wealth, because we are rapidly drawing down the natural resources accumulated by Nature over hundreds of millions of years (i.e., fossil fuels). In further modeling we have done, where we model the use of non-renewables, we find that these non-renewables allow population to rise by an order of magnitude higher than with renewables alone. Thus, the use of non-renewables postpones the collapse, but then when the collapse happens, it is much deeper. (Rivas, Motesharrei and Kalnay, 2014, in preparation). Furthermore, as we point out in the article, the consumption of natural resources has both depletion and pollution effects, both of which have to be taken into account on the carrying capacity of the natural system, as the HANDY model does. When non-renewable resources (e.g., fossil fuels) are consumed rapidly over just a short time, as we are doing now, this can introduce a quantity of pollution (e.g., the stored carbon accumulated over hundreds of millions of years) large enough to affect the entire global system (e.g., causing climate change). Thus, the rapid release of vast quantities of previously stored carbon is creating changes in the world's climate system that are in turn impacting back on the human system. In addition, these changes to the global climate can create additional positive feedbacks leading to greater climate change, such as the release of previously stored methane in the now melting permafrost, or the decreasing albedo due to the melting of polar sea ice. So the consumption of non-renewables does not occur without significant effects on the entire system. Carrying Capacity depends on two sets of parameters encompassing properties of both the human system and the natural system. On the socio-economic side, depletion rate, consumption rate, rate of change of population, and degree of inequality can influence the Carrying Capacity. All of these factors can be adjusted by various policies that societies may choose to implement. On the natural system side, Nature Capacity (maximum size of a natural resource) and Nature regeneration rate (rate at which a renewable natural resource can be replenished) can influence the Carrying Capacity. Although these parameters are properties of the natural system, humans can, and do, change them. For example, by replacing parts of a forest with a city, or by over-depleting rivers flowing into a lake and subsequently drying out the lake, we reduce the Nature Capacity. A few media outlets interpreted the article as a prediction for the collapse of society. Did you envision any of the outcomes to be likely in reality? In the introduction of our article, we give a brief empirical description of the repeated recurrence of the real historical phenomenon of rise and collapse throughout the world. We built a mathematical model and investigated two of the potential mechanisms that can explain this cycle of real historical rises and collapses. While this paper focuses on variations in depletion and inequality, the HANDY model can also simulate the effects of other factors that can affect sustainability, such as birth rates, consumption rates, and variations of nature's capacity and regeneration rate. The model is not intended to describe actual individual cases, but rather to provide a general framework that allows carrying out "thought experiments" for the phenomenon of collapse and, importantly, to test changes that could avoid it. Of course we recognize that, as with any complex system, many mechanisms were involved in the real historical cases, but the model is meant to represent the dynamics of two of these mechanisms (depletion and inequality). The model can have implications for the reality of the modern world. Thus our model structure is supported by both theoretical and empirical arguments. The paper introduces a new method of studying coupled human-nature systems. We build a minimal mathematical model that can capture repeated historical patterns. We test our model by comparing the behavior we find in our experiment results to the general trends seen many times in the past societies. Our article does not make a "doomsday prediction of the collapse of society." In fact, we state in multiple locations in the article that our model shows that a sustainable outcome is possible, including right in the abstract, where we state that the model shows that "collapse can be avoided, and population can reach a steady state." You have described this study as a "thought experiment." Can you please explain what you meant by this? This question brings up the subject of why we chose to do a minimal model. There might be hundreds of variables involved in a complex system. To model many of those variables is not only tedious (if not impossible) but also makes it very difficult to understand the role of interactions between major variables of the system. It would be very difficult to collect accurate quantitative data for such studies that look into the past several thousand years. With a minimal model, one can more easily find and explore the most influential parameters in the system. Most importantly, one can understand the role that the feedbacks (especially bidirectional feedbacks) play in the dynamics of the system. So in essence, minimal models can help us think more clearly about a complex system and understand the most important mechanisms that govern the system, without being confused with the many less significant elements of the full system. A minimal model of a complex system is not meant to capture all the variables and parameters of the full system. A minimal model like HANDY can give us insights about what would happen in a complex system if we change some parameters, i.e., if we perform "a thought experiment." Using HANDY to respond to questions like these – "What would happen if we reduce inequality?" or "if we reduce birth rates by half? ", "if we reduce the depletion by half? ", "if we reduce the working hours of the Commoners? ", "if climate change reduces the services provided by nature?" — is akin to performing thought experiments. In HANDY, for example, we put together populations of all ages and genders into a single stock. In order to understand inequality, we break this stock into two separate stocks of Elites and Commoners. We also introduce a single parameter that determines the extent of inequality. Moreover, we assume a single stock represents all of the natural resources. Of course, one could make this a lot more detailed by adding thousands of age/gender/income-specific population stocks and hundreds of specific resource stocks. However, the value that would be added by a much more detailed model for studying historical (or even current and future) trends is low for two reasons. First, the detailed historical data is very difficult to collect. Second, and more importantly, doing meaningful experiments and making sensible, insightful interpretations becomes difficult when dealing with hundreds (or thousands) of variables. Can it be used to make predictions about our society? We need to first distinguish between "forecast" and "prediction." For example, using the laws of physics and millions of atmospheric observations, many national weather services use mathematical models to forecast the weather for tomorrow, the day after tomorrow, and up to about a week. But we cannot forecast the weather for a given day next month or next year because of chaos (the "butterfly effect"). On the other hand, the characteristics of climate (usually defined as the weather averaged over many years) can be predicted. For example, we can predict that in 25 years, summer will be warmer than winter, and that if we continue dumping greenhouse gases into the atmosphere and the ocean like we are doing now, the mean global temperature will increase by at least 4 degrees Celsius. With a physical system with known laws and well-defined, measurable variables, we can build a mathematical model that captures the dynamics of that system and it can be validated by comparing model "forecasts" with the measurements from the real system, as is the case for weather. On the other hand, when we are dealing with a human system where many of the variables and quantities are not (or cannot be) sharply defined and measured, we can only make qualitative, long-term predictions about the future behavior of the system, as we do now with climate change. This can be done through developing measures (for example, Carrying Capacity in HANDY) and proxies that can be observed in the complex, real system. And lastly, there is fundamental difference between a Coupled Human-Nature System and a purely natural (physical) system. In the latter, the evolution of the system and the interactions among the elements of the system are set by physical laws, properties, and parameters. On the other hand, with humans present in a system, the evolution, to a large extent, is determined by the parameters that can be changed based on human decisions, such as the implementation of policies. This is why the path of evolution heavily depends on how we set those parameters, and this is why one cannot make a single "forecast" for a human system, but rather predict a set of potential "scenarios" based on parameter choices. So in a nutshell, we can make general predictions about the behavior of a certain coupled human-nature system in the long term. But it would not be possible to make any specific "forecast" with high certainty for the future of the real system. There is a great interest in the scientific community to understand how to couple human and earth systems bidirectionally so that the feedback to changes introduced by the human economy are included. "Bidirectional" means that the feedbacks go in both directions between the human systems and natural systems. For example, if humans create deforestation, the impacts of deforestation (erosion, loss of soil, etc.) have a feedback on the humans that is accounted for within the model. One cannot understand the dynamics of the system or make long-term predictions without these two-way feedbacks. There is also a new science of the mathematical modeling of historical human system dynamics (called Cliodynamics) that is very much related to the modeling used in HANDY. The HANDY model is interesting for scientists working with these kinds of models, because our model is a substantial development beyond the previously existing ones, such as Brander and Taylor (1998) and many follow-up models that have appeared in Ecological Economics. There are two important new features in the structure of the HANDY model: the introduction of Accumulated Wealth as a separate stock from Natural Resources, and the introduction of economic inequality in the consumption of resources. This resulted into many interesting behaviors and properties that have not been captured by previous models. First, economic inequality, can independently lead to a societal collapse. This is shown in the Type-L collapse scenario in the paper, where an otherwise sustainable society that even seems to be on a sustainable path for a long time can collapse due to introducing a small seed of Elite population into the system with a high level of inequality. Another interesting feature of this scenario is that population and wealth collapse even though Nature recovers to the level of its full capacity. Second, accumulation of wealth allows full collapses to take place, as opposed to animal populations, such as foxes and rabbits, that undergo cyclical variations (as in the predator-prey system) basically because animals cannot save their physical resources. This is an essential dynamical feature that other similar models could not achieve. It was pointed out to us by one of the Peer-Reviewers of our paper and took us a while to fully understand. Third, HANDY shows that Carrying Capacity is dynamic, and adjusts to changes in the parameters and properties of both the human system and the natural system, and both of these two sets of parameters can be adjusted based on decisions, either directly or indirectly. This is another reason why human decision-making is so important. If we make the right choices, we can not only reach an equilibrium, but we can do so at an optimal Carrying Capacity level. Why is this research interesting to the general public? A value for the general public rises from another very important characteristic of a minimal model: accessibility. Ease of understanding a model shrinks with its growing complexity. A minimal model can be understood by virtually anyone who has a general grasp of mathematics and the modeled system. This is the reason why minimal models are ideal tools for education. The isolation of the key mechanisms and the highlighting of bidirectional feedbacks allow one to focus on the effects of changing the parameters on the interactions of the key variables. This means that minimal models can also help decision-makers understand the effects of a range of policy choices on the possible behaviors of the system. There are frequent reports and news about sustainability challenges that the world faces if we continue on the same path without making changes. An example of such news are the comments made recently by the President of the World Bank who discussed inequality and climate change as the two primary causes of forthcoming crises (e.g., water scarcity and high food prices). He predicted, "Fights over water and food are going to be the most significant direct impacts of climate change in the next five to 10 years. There's just no question about it." The public can use a minimal model like HANDY to better understand why such factors could be keys to sustainability. The article is open access. You can view it here: Human and nature dynamics (HANDY): Modeling inequality and use of resources in the collapse or sustainability of societies, Ecological Economics, May 2014, Vol. 101. Kitty van Hensbergen is the Marketing Communications Manager for Environmental Science and Ecology Journals (@ELSenviron) at Elsevier. She has an MSc degree in Economics and Business, specializing in Marketing, from the Erasmus University Rotterdam. She is based in Amsterdam.